BR-V, the recently launched 7-seater SUV from Honda Cars India Limited (HCIL) revealed the details on number of bookings received for its car since its launch on May 5 2016. Over 4000 Honda BR-V bookings are done since its launch (within 5 days). The BR-V which is an acronym for Bold Runabout Vehicle is currently being manufactured at Tapukara plant in Rajasthan. India is a key market for Honda and as part of our business expansion, we are focusing on increasing our customer base with new model introductions. 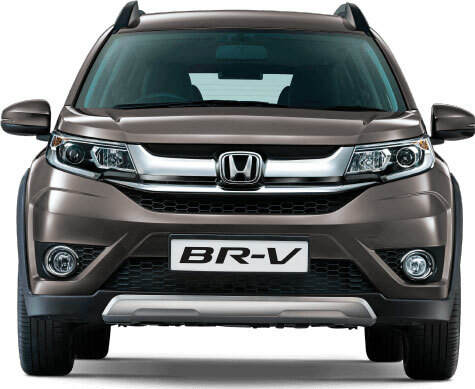 The launch of BR-V marks Honda’s entry into the popular compact SUV segment. Customers can experience the outstanding appearance of an SUV and benefit from the versatility and comfort of its spacious 3 row interiors. We are confident that BR-V will strongly appeal to the customers and accelerate our growth while strengthening our brand presence in the country. Honda BR-V is available in 6 different colors: Carnelian Red Pearl, White Orchid Pearl, Alabaster Silver Metallic, Golden brown Metallic, Urban Titanium Metallic, Alabaster Silver Metallic and Taffeta White. You check the photos of all Honda BR-V colors here. Provide your details so that we can arrange a test drive of Honda BR-V for you at your city!